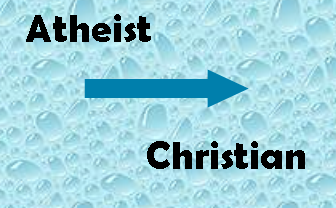 What Causes an Athiest to Become A Christian? I’m sure most of you have heard about Christian kids who walk away from their faith during their university years. It happens all too often. But how many have heard the story of a devout atheist becoming convinced about the truth of Christianity during those same university years? Immersed in an environment almost exclusively devoted to atheism, how does a university student who is not looking for religion wind up finding God? Here’s one example of a Harvard university student’s conversion experience, reposted from Wintery Knight. Granted, most atheists are not interested in truth, because they tend to jettison truth whenever it conflicts with their personal autonomy – their desire to seek pleasure apart from moral constraints. But there is another kind of atheist. This kind of atheist is honest, open-minded, and they just have never encountered any good reasons or evidence to think that God exists and that Jesus is anything other than a man. There are a lot of atheists like that who are just waiting to hear some decent evidence. Our job is to prepare for them and then engage them, if they are willing to be engaged. ← The Resurrection of Jesus: Which Explanation Fits the Minimal Facts?